Today, it’s far more common to see a college student walking around campus with a smartphone as opposed to a textbook. Social media plays an integral role in campus life, with social media platforms and apps being used as an important means of communication and staying connected. However, this spike in online activity on campuses is not all positive. According to Anxiety.org, social media can cause anxiety, self-consciousness, or a need for perfection. Clubbed together, social media, online interaction, and dorm life can all potentially make for some volatile relationships lacking sufficient boundaries in day-to-day college life. So How Exactly is Social Media Involved? For one, there are significant correlations between social media use and loneliness. Loneliness is largely a result of perceived friendship networks. Since social media plays a major role in the friendship network of college students, a successful or unsuccessful perception of one one’s own social media usage can act as a determinant of feelings of loneliness, anxiety, paranoia and overall mental health. 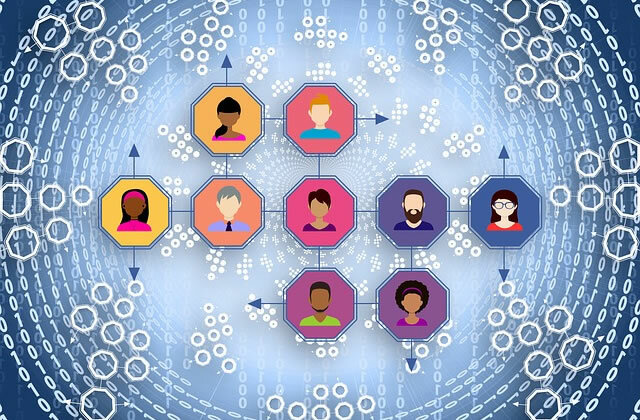 As a phenomenon, social media offers people a way to directly quantify their friendships, giving people a way to compare their friendship networks with others. It’s this sort of thing that leads to FOMO (fear of missing out) by continually monitoring what’s going on in other people’s lives through the passive browsing of other people’s’ profiles, according to experts at Rutgers University. In this way, social media can lead to unhealthy relationships (whether platonic or romantic) through college life. Often, these tendencies will carry forward during vacation time with the family too, and exist beyond college as well. Doing an activity just so that you can take a photo of it and then share it to social media. An example of this would be buying a drink you don’t particularly want or enjoy just to take a picture of yourself and friends ‘having a good time’ to post on social media. Constantly wondering what your other friends are doing up to a point of anxiety that is only relieved by scrolling through your social media feed and finding out. Eating dinner with your phone in your hand, constantly replying to messages, tweets, and photos that could easily wait until you’re done with your dinner. Refreshing your page continuously after posting something just to see how many likes you’ve accumulated — to the point of spending your day worrying about how people will react to your life, rather than how you actually feel about it. Feeling physically uncomfortable when you forget your phone at home or are disconnected from the internet for an extended period of time through the day. Comparing yourself to other people online to the point that is has changed how you behave in real life. You talk differently, engage in different activities and do things just to fill up your perceived inadequacy based on what you perceive of others via social media. Any of these signs can point towards the development of an unhealthy perception of oneself, mental health issues, and in turn, unhealthy relationships. Social media can also create unhealthy relationships of a completely digital kind. Online stalking, which can happen to anyone, often takes an innocent event and turns it unhealthy. Whether your online interactions turn to cyber stalking or simply create a perceived addiction, it’s important to know when to unplug from social media — but how exactly do you do this when the nature of social media is always on? Realistically, completely unplugging from social media is a difficult feat, especially in a college environment where you will be required to be online even for classwork. However, slowly incorporating a few changes into your campus routine will help you in the long term when it comes to effectively balancing with your relationship with social media. If you’re with a group of people, either at the cafeteria, or at a study group or meeting, suggest stacking all your phones on a table out of sight. Alternatively, you could put them into a basket face down. Sure, if you spread the word of said meeting, or show that you’ve “checked in,” you can do so at the very start — after all, social media does have some benefits when it comes to reaching a large audience and communication. Then, after the first few minutes, stack your phones away. Throughout the duration of the meeting, no one should be allowed to look at their phones. You can even establish some sort of penalty in the event that someone reaches for their phone. This exercise is especially useful during dining out. It promotes mindfulness, real conservation, and being in the moment enjoying your food and company without worrying about what others who are not present will think. Many people fall asleep scrolling through their feeds, with the last thing they see before drifting off to dreamland being anything from a photo of a model to an ex-partner’s updated status. Falling asleep this way is extremely unhealthy and can cause long-term sleep problems due to emotional or cognitive arousal. Make sure to put your phone on “Do Not Disturb” at a fixed time every night. This should be the time you aim to go to bed. After this, resist any urge to look at your phone. Give yourself some time to reflect upon your day, meditate, and fall asleep in a peaceful manner, rather than constantly going through your feeds. At first, the urge to look at your phone will be strong. But after a few days, you will find that you sleep better, and feel better the next day, and learn to appreciate this new practice of shutting down. Although it may be tempting to incessantly take selfies (or have someone else take many photos of you) while on a date or tune out in the middle of lecture to check our peoples profiles, don’t do it. Be aware of the present moment, and appreciate it for what it is. If it’s in class, try to learn what you can (your GPA will thank you later), and if you’re out on a date, enjoy your partner’s company. An easy way to do this is to think about the other person — how would you feel if you were a professor looking out at a classroom of students staring at their tiny screens? How would you feel if a stranger approached you and asked you to take not one, but plenty of pictures of them until they found that perfect one? Or worse, if you were on a date with someone you actually wanted to get to know, but were stuck taking selfies doing various poses because none were turning out good enough? Be mindful of others, and slowly, you will stop feeling the need to constantly snap every moment of your life. While social media does have its fair share of benefits, getting addicted to it only leads to unhappiness. In the college environment especially, where there are enough external stresses, the anxiety and depression caused by an unhealthy relationships with oneself and others stemming from social media obsessions is unnecessary. In these formative years, it is extremely important to set boundaries and balance your relationship with social media.